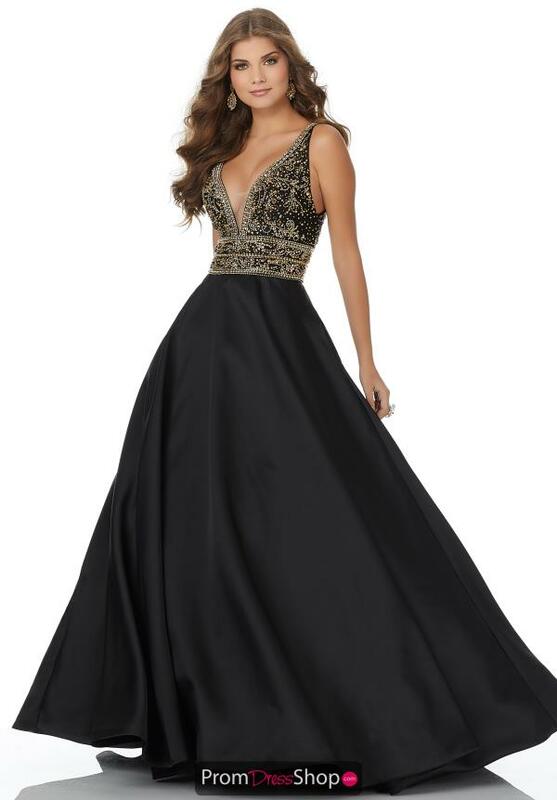 Twirl your way around prom in this elegant Morilee a-line dress this year. Style 42007 showcases a v-cut neckline featuring an inset of mesh for a modest cleavage. The beaded bodice will turn heads as you walk by followed by a cinched waistline. The satin skirt is super comfortable and will make a statement on your special day.